Contained within this compact lightweight rugged housing is a powerful 10W CREE quad-colour LED that emits a pin sharp beam. The onboard DMX allows the unit to produce a full complement of colours. 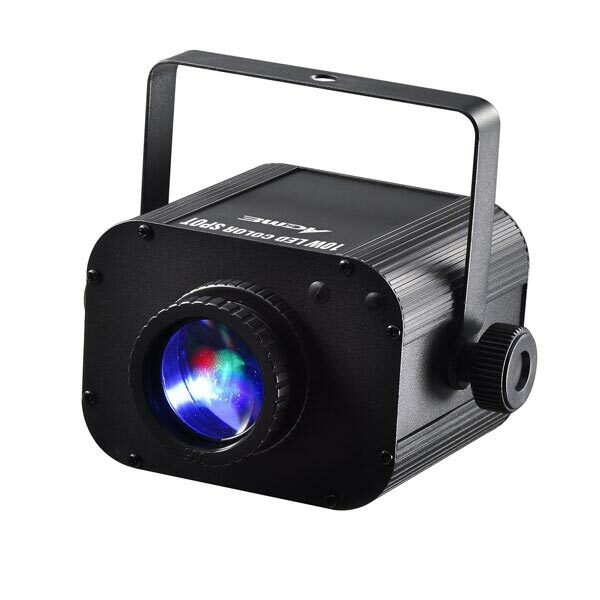 It can function as a colour strobe (slow to fast) and offers full dimming (from 0-100%). This pinspot is suitable for a variety of applications, from highlighting art and retail displays, to generating mood lighting in restaurants and lounges. The fixture is also ideal for projecting onto a rotating mirror ball filling the room with a steady swirl of pin sharp colour.